Government departments are keen to make sure that they’re as easy as possible to do online - and that’s certainly true of taxing our cars. This general move in the way we carry out many of our regular transactions comes against the backdrop of a major overhaul in the system of road tax, which aims to modernise the system while also saving time and money. Let’s get one thing out of the way for starters: strictly, there’s no such thing as road tax - its proper title is Vehicle Excise Duty. However, for the purpose of this article, we will be sticking to it’s more commonly known nickname of ‘road tax’. The old-fashioned perforated paper tax disc had existed in some form since 1921, even though a tax levied on car owners, and called Vehicle Excise Duty, had come into being even earlier, in 1889. The perforated edge of the tax disc came into being in 1938, although war is thought to have put paid to their use between 1942 and 1952. In the early-1960s, as the number of cars on the road was increasing dramatically, security first became an issue, so the disc was redesigned. Also, at this time, the system switched from the tax on all cars being due on 1 January, to being issued monthly, according to when a vehicle was first registered. Those old paper discs became obsolete on 1 October 2014. Previously, we’d get our reminder in the post about three to four weeks before our old tax disc ran out. We’d then have to fill in some details on the application form, and take this, along with our payment (and the MoT certificate if the vehicle needed one), to our nearest post office which issued the discs, and that was it - we were given our new disc, which went straight into the small holder on the inside of our windscreen. Now, the system is smoother and with much less paper involved. When we send our details to the Driver and Vehicle Licensing Agency to confirm that we are the legal keeper of any vehicle, our details are automatically put onto its massive electronic database. That mine of information is constantly updated, and it keeps track of how long our current VED payment runs for, and sends out the automatic reminder a few weeks before it expires, to tell us to pay up again for another six or 12 months. 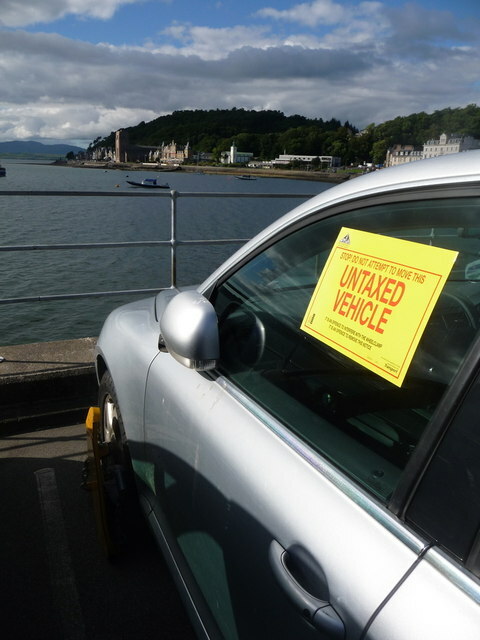 However, failure to keep your car taxed without good reason, such as your car not being roadworthy, can see you faced with an automatic £1,000 fine. If you’re not a ‘digital native’, or don’t have regular access to the internet, however, you shouldn’t worry, because the system has been made as simple as possible to use, and it’s possible to renew your road tax in just a few minutes - you should find that it’s certainly quicker than it used to be when you had to go and get an old-style paper disc. Alternatively, for the time being, if you have your reminder and all the necessary paperwork, you can still head to your nearest local post office which issues the discs, queue up and get one from the staff there. You’ve got three options for renewing your road tax - you can call a dedicated phone line, on 0300 123 4321, visit your nearest tax disc-issuing post office or you can do it online. You’ll still get your customary reminder within three weeks or so of the expiry of your old tax disc, but you can also check the current status of the VED for any vehicle using this web page, at any time. So why not give it a try, and if you aren’t sure when your road tax is due to expire, this is a good way of finding out, and you can then make a note of it on your calendar - so the arrival of the official letter doesn’t have to come as a nasty shock! If you register for paying your car tax online, you’ll get the chance to make a small saving each time by signing up to pay by direct debit. This will also mean you never risk driving without a VED for as long as you’re still the owner of the car, and your contact details stay the same. So on the face of it, there are a lot of benefits to signing up to have your road tax renewed automatically online. One downside, at the time of writing though, is that you can’t re-tax an HGV or cars which are part of a business fleet in this way. The new system means, however, that any car tax left valid when a vehicle is sold and a new owner takes over responsibility for it can no longer be automatically transferred to that new owner as part of the formalities of the sale. So when you buy a vehicle, whether it’s brand new or used, it becomes your responsibility for making sure it’s taxed from the moment you’ve signed all the paperwork and been handed the keys. If a car is sold privately second-hand, the previous owner can still claim a refund for any full calendar months for which they had paid to tax the car but are no longer its registered owner. But there’s a major campaign gathering pace against this, because, in some cases where there’s an overlap between owners in a calendar month, the DVLA effectively gets paid twice. When it uncovered the anomaly, Auto Express magazine called it “sneaky stuff [which] should give a useful boost to the exchequer, but at the expense of motorists." So you need to remember that you should keep your car taxed - once you get into the habit of it, the new system is pretty straightforward, but you need to know where you stand at all times. You also need to be aware that, with fixed and portable automatic numberplate recognition (ANPR) cameras widely being used to keep track of motorists, and gather evidence of law-breaking, including avoidance of road tax, you possibly won’t even know you’ve been caught until a penalty notice lands on your doormat! Recent years have seen a dramatic rise in penalties issued for non-payment of road tax. Auto Express found through a Freedom of Information request that 117,490 enforcement cases were instigated in the six months after the tax disc was scrapped, compared with 82,999 or 86,939 in the previous two six-month periods when the tax disc was still in operation. Out-of-court settlements also nearly doubled, from 53,799 to 97,348 in the six-month period, while the number of cars clamped for unpaid road tax has soared from around 5,500 per month to 8,800. Of course, most reputable traders who sell vehicles will be ahead of the law change, and especially as bodies such as the British Vehicle Rental and Leasing Association have mounted campaigns to raise awareness that there is no ‘grace period’ - for example, to allow the buyer to drive to the Post Office to purchase road tax. So when you buy a car, whether it’s new or used, especially if it’s from a franchised dealer or other trade outlet, they should make sure that the vehicle is properly taxed before you drive it away. How Do I Find Out How Much Road Tax Costs? The government has published an official guide which contains all the information for cars registered as new, or which are second-hand, which you can consult to find out the tax band for your, or any other car. Otherwise, the amount will also be shown on the official reminder which you can expect to receive, as mentioned earlier. Here, too, though, major changes are on the way. These will particularly affect drivers of new cars which would previously have fallen into one of the lowest vehicle tax bands. For vehicles registered between 1 March 2001 and 31 March 2017, there’ll be no change to the structure of the existing bands. So your car will be categorised in one of 13 bands, and you’ll pay roughly the same as at present. The big change affects you if you register a new car for the first time after 31 March 2017. Lots of cars which previously qualified for zero road tax up to this date, by virtue of having what was considered a low level of CO2 emissions of less than 100 grams per kilometre, will now be liable for a payment, of as much as £120 a year. The important number to remember if you want to keep up-to-date with the road tax rates payable for any vehicle, is V149 - this is the number of the official form which contains that information, although as it’s meant to show the current rates, we haven’t included a link to it here, as the information doesn’t take account of the changes from 1 April 2017. It’s likely, though, that this form will be updated as that date approaches. What Do I Need to Renew My Car Tax? The online service for renewing your road tax takes you through the process step-by-step, and if you search ‘Tax your vehicle’, you should look out for this page, https://www.gov.uk/vehicle-tax in the search results, as that is the official Government portal. Beware of other sites with similar, but slightly different web addresses - these might be bogus, and you shouldn’t enter any personal or financial information on such pages, as you could be scammed! First, you’ll be asked to enter into a box the long number printed in bold and placed in a thick black border on your reminder letter which you should have received from the DVLA. This is your key, similar to a password, which is a unique identifier to allow you to enter the renewal system, and after this, you should follow the instructions given on the screen. It will ask you to select whether you want to renew your tax for six or 12 months - the former, shorter option isn’t available for the lowest three car tax bands, and is only offered if your annual road tax is £110 or more. Otherwise, it should be a straightforward process, and is designed to be completed in no more than five to 10 minutes. You can’t even make a mistake with entering the letters and numbers of your car registration, as these are pre-filled on the form - just check that they are correct, and you will then be guided through the transaction, step-by-step. Once you’ve successfully applied, you’ll get a confirmation email sent to the address you supplied. Check that all the details in the email are correct, as you won’t have another chance to put them right, and the whole system depends on the details held by the DVLA being correct and up-to-date. If this is the case, renewing your road tax online really is simple, and you’ll probably wonder why you spent so long in a post office queue in the past! Finally, you shouldn’t be tempted to ignore a reminder. Automatic number plate recognition (ANPR) cameras are now widespread, and gather the identity of vehicles passing them constantly. This data is cross-referred with the DVLA database and, in the event of one detecting an untaxed car being driven, it can command the issue of an instant late licensing penalty of £80 - reduced to £40 if you pay within 28 days. You may be given a first opportunity to pay any arrears of road tax due - but if you ignore this chance, you should expect to have to pay not only the overdue tax, but could be prosecuted for keeping an unlicensed vehicle, at which point the potential fines rise to £2,500, or five times the total amount of tax you should have paid. What If You Don’t Use Your Car But Need To Keep It Licensed? If your car is off the road, for example because it has failed its MoT and you are waiting to get it repaired, you will still need to notify the DVLA when your tax becomes due for renewal. If you won’t be driving the car, you should make what’s called a SORN (statutory off-road notification) declaration. The procedure for this is similar to actually taxing the car, and you can use reference number from the notification form from the DVLA for the purpose. You can also declare a SORN by calling 0300 123 4321, or get a form V890, fill it in and send it to the DVLA, along with a letter explaining your circumstances and reason for wishing to declare a vehicle SORN. If you’re going abroad, and will be leaving your vehicle in the UK, you can register a SORN up to two months in advance by post. The vehicle taxation system has changed relatively little in a century, but you should be sure that you know where you stand, especially now that fines can be issued automatically if a vehicle’s tax isn’t renewed on time. 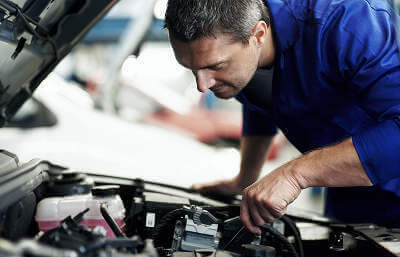 You can use MyCarNeedsA.com’s free reminder service to help you remember when your road tax and other important dates, such as the annual MoT test and service times are due.